Whether it’s on a sandwich or in a salad, the refreshing crunch of lettuce is unmistakable. And there’s nothing quite like walking over to your Tower Garden and harvesting a crisp leaf to munch on—which is one reason we ship gourmet lettuce seeds with every Tower Garden. Fast-growing, and can be ready to harvest in as little as 3 weeks. One of the healthiest vegetables you can eat, offering vitamins A, K and other nutrients. Easy to grow—a perfect choice for new gardeners. No wonder it’s a popular crop among Tower Gardeners! If you want fresh lettuce every day for salads or other dishes, we suggest growing approximately 2-3 heads of lettuce per person. Tower Tip: Get more recommendations on gardening planning in our guide. Here are our tips for growing lettuce with Tower Garden. Keep in mind, all varieties of lettuce grow very well indoors with grow lights. Tower Tip: To learn when you should grow lettuce in your area, try this planting scheduler. For leaf lettuces, plant 2–4 seeds per rock wool cube. And for head lettuces, plant only 1 seed per cube. Lettuce seeds usually germinate within 1–2 weeks. And seedlings should be ready to transplant to your Tower Garden 10–14 days after sprouting, or whenever they have at least 2–3 leaves and a visible root structure. When transplanting, keep in mind that lettuce is a good crop to plant near the top of your Tower Garden. Tower Tip: For step-by-step instructions on starting seeds and transplanting seedlings, reference page 7 of the Tower Garden Growing Guide (PDF). Cabbage loopers are green caterpillars that feed on the underside of lower leaves and in the center of the head of lettuce. Cucumber beetles are yellow-orange beetles with black markings that sometimes feed on lettuce seedlings. Take care not to confuse these with ladybugs. Botrytis, a gray-brown fuzzy growth, thrives in cool environments and can appear on plant debris that has fallen from the plant. Powdery mildew forms a white-gray powdery growth, usually on the upper surfaces of leaves. You’re most likely to see this common disease in late summer. Whole head. Remove the entire plant and net pot from your Tower Garden, or cut all the leaves off at the base of the plant. If you choose this method, be sure to have replacement seedlings ready. Harvest only a few leaves at a time, from the bottom of the plant upward. Allow 2–3 leaves to remain so the plant may keep growing. Repeat every 2–3 days until the plant bolts, or begins flowering. After bolting, replace the plant with a fresh seedling. 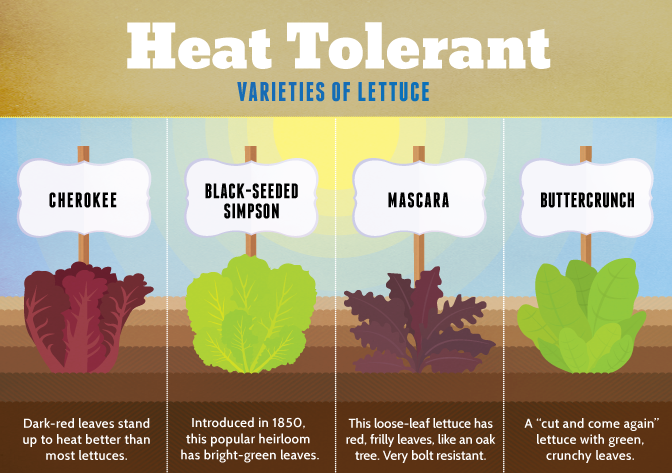 You’ll want to eat lettuce within a few days of harvesting. Need ideas for how to use it? If you’re hungry for more lettuce growing advice, we have a comprehensive guide available in the Resource Center.